Erika Leavitt’s interest in real estate was piqued after she and her husband began to remodel and flip homes. After several profitable flips, Erika recognized that her experience and knowledge could benefit others looking to buy or sell a home. 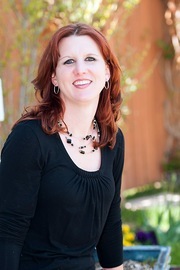 In 2014, she became a real estate broker and now is dual licensed in Utah and Washington. Erika has an eye for smart investments and provides her clients with valuable insight regarding the potential cost of improvements and the return on their investment. She also enjoys working with first-time home buyers and can help you determine the quality of construction and whether a place is a money pit or if something as simple as taking down a wall or sanding floors could transform a home into a place you’d love to live. Erika also worked for more than a decade as a customer service supervisor for an airline and owned her own natural skincare business, where she created products with wax harvested from her family’s bees. She learned the skills needed to thrive in a fast-paced environment and gained invaluable experience working with many different types of people but says the knowledge she gained while flipping homes is what truly sets her apart from other brokers. Erika, her husband, and their two children live on a 20-acre farm in Washougal. They’re currently remodeling their home and plan to add small farm animals this Spring. In her free time, Erika enjoys sailing, camping, and traveling. Erika Leavitt at Columbia River Realty helped us through the process of buying our first home together. When we started we thought we had a pretty good idea of what buying a house was like in this challenging market, but it turned out to it wasn't as simple as we had imagined. When we first started we weren't sure what exactly we were looking for in a house. Erika was patient and willing to show us Condos, Duplexes, and homes while we were figuring out what best fit us. Considering all our options she helped us find the perfect match for us! We can't say enough good things about Erika. She is incredible patient, knowledgeable, personable, and was always available to show us homes as soon as they were listed. She was happy to answer the millions of questions we threw at her. Throughout the whole process we knew Erika had our back and was trying to find the perfect house for us at the best price! We are absolutely in LOVE with our house and couldn't recommend Erika enough! Michelle was very knowledgeable and a very good advocate for my family when we were looking to purchase land to build on. She went above and beyond contacting, double, and triple checking with everyone in the transaction including our not so honest first lender. She was very honest when she didn’t know an answer to a question but always sought the answer immediately from a coworker. With a deep family roots in our community I wouldn’t turn to anyone else. When it comes time to sell our home she will for sure be our agent again!